ALL SALES ON CLEARANCE ITEMS ARE FINAL! Designed and tested before the car was for sale thanks to our exclusive partnership with Ford Motor Company. The kit is built from stainless steel and billet aluminum to ensure strength, looks, function, and durability. This Steeda Cold Air Induction kit takes your car to the next level of performance and class. 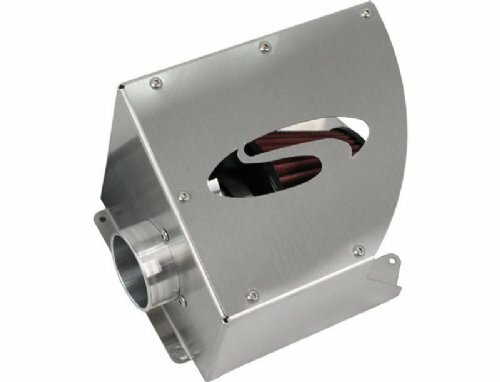 Designed to be an easy replacement of the factory airbox while still retaining function of the intake scoop at the grille. The kit comes with a serviceable, one million mile warranty, high flow air filter. Also included is a billet aluminum replacement mass air flow sensor housing which is made in house. The shield is designed to keep hot air out of the engine and provide the coolest, densest air charge possible to build horsepower and torque. Track tested, and race proven to ensure it can stand up to anything you can throw at it.